Using the 22 years of experience Ascendix has in the world of CRM, we’ve taken the best ideas and designs we’ve come across in using over ten market-leading CRM platforms and come up with Ascendix Search a unique and end user enabling search facility for the Salesforce.com platform. Ascendix Search was designed to provide an expanded set of options beyond what the Global Search Salesforce provides in the core platform. This article will outline the various use cases and differences between the two search options which, when combined, provide an extensive set of data searching options for the user. As you read this, you will see where Ascendix Search crosses over into adding flexibility and value to the process of building list views as well. While the scope of this post is a comparative analysis between Salesforce Global Search and Ascendix Search, we appreciate that some of the functionality in Ascendix Search can be accommodated for using the other search functionality in Salesforce® such as Salesforce report writer or dashboard facility. In our assessment, searching for data and reporting on it is similar but distinctly separate tasks often performed by different user groups. It should be noted that while some aspects of Ascendix Search lend themselves to “light” report writing and dashboard creation, the tool was not designed as a report writer and should not be considered as a replacement for more full-featured report writing tools such as the Salesforce report facility. Are you searching for a specific record or conducting some data mining in search of a collection of records that fit specific criteria? If the objective is to locate a specific record, the Global Search facility is a great resource. However, if your objective is to find a collection of records that match specific criteria, Ascendix Search may prove to be a better fit. Global Search provides a great facility to perform a “Google-like” search where you type in keywords or phrases that return a variety of records across multiple record types. Ascendix Search provides more precision in the results by returning records that conform to specific criteria entered. As Global Search uses indexing technology, certain terms or keywords may bring back unexpected or unwanted results. Depending on the search objective, this behavior may be acceptable while in other situations there is a need for more precision with the records returned. If there is a need to preserve the results from a particular search, there is no current method to “save” that search with the Global Search facility (you’d have to build a list view). With Ascendix Search, the search conditions can be saved making it available for reference in the future. Salesforce Global Search allows for searching of records based on address fields (for instance, typing in Dallas will get you records in Dallas but may also give you records that have Dallas in the record name) but when geographic searches don’t conform well to address fields, Ascendix Search provides a map on which the user can draw shapes that dictate the geographic boundaries. The Global Salesforce Search is great at searching for specific values across objects but doesn’t really allow for you to search for records using criteria from multiple objects. For example, type in Dallas and you’ll get accounts, contacts and other records that contain the word Dallas. However, if you wanted to search for contacts in Dallas that are related to accounts in the Financial Services industry, Global Search is not your tool. Ascendix Search provides a user-friendly interface to allow the user to input criteria from multiple objects to drive the result set as described in the example above. For certain fields to be searchable, the admin has to enable them by creating a tab for Global Search to pick them up. With Ascendix Search, the end user can choose from any of the fields available in the org to search for without administrator intervention. Global Search results are returned by page layouts determined and defined in advance by the administrator to suit the majority of needs. With Ascendix Search, the end user can adjust the columns displayed for each individual search and the columns from multiple objects can be displayed in a single view. In addition to the end user being able to adjust columns that are displayed for search results, they can choose those columns from multiple objects. For instance, if the end user conducted a search on contacts, they could include attributes from the account object in that result set. Let’s take a marketing use case as an example where you wanted to do some market segmentation based on contacts associated with accounts that have revenue greater than $15MM. Global Search is not optimized for searching for records driven by dates. If you were to look at the list of searchable fields, you would not find date fields on the list. Salesforce users can create a list view instead, but there are some limitations. First, there is a limited set of operators to use. Second, users are not able to use a date picker to select a date but need to enter it manually. Ascendix Search allows the end user to choose from a variety of operators such as Next X Days, Next X Weeks and Months to allow for the casual end user to drive into some meaningful sets of data. Ascendix Search simplifies complex Salesforce searches turning any user into an advanced search specialist. Perform single/multi-criteria searches without building list views, save your searches, bulk edit records, export lists to Excel, filter and refine searches by maps & charts, and more. Read our whitepaper to learn how Sales professionals, Marketers, Customer Support Teams, and Salesforce Admins can improve their productivity thanks to Ascendix Search. 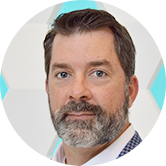 Wes Snow is a co-founder and President of Ascendix Technologies based in Dallas, Texas. Ascendix has evolved over the years from a CRM VAR (Value Added Reseller) to a developer of applications specific to the commercial real estate sector and for Salesforce platform.